This year starts on a very interesting note as campaigns are underway in Uganda – as we see political leaders campaigning to stay or get into office. Very crucial to this year’s elections is the use of Social Media platforms for mobilization of voters and hopefully votes. I have been asked so many times – will this be Uganda’s first social media election? And I always want to ask – ‘What is a Social Media Election’? In 2011, there were a handful of young people on Twitter and Facebook that talked about the elections. I remember the hashtag for Election day and period was #UgandaVotes. This election period #UgandaDecides is the go to- hashtag. On a good day, there will be about 1000 tweets sent out with the hashtag. The various Presidential Aspirants have got their own for their campaign activities: Amama Mbabazi is using #AmamaTrail and #GoForward2016. Dr Colnel Kizza Besigye’s team is using #WesigeBesigye. The incumbent President Yoweri Museveni is using #VoteSevo and #SteadyProgress. The other presidential aspirants are not that visible online. 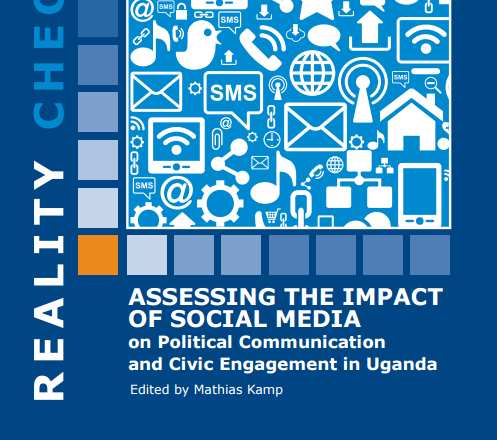 That said: Has Social Media had an Impact on Political Communication & Civic Engagement in Uganda? Yes it has. We have seen quite a lot of it in this election period. Will Social Media be able to ‘deliver victory’ in the coming elections – I am not so sure about that, it depends on who you are talking to and how one is able to measure the impact . However the truth is – ALOT has changed since 2011. There is a lot more use of Social Media Platforms by both the citizenry and the politicians.